NHAI-National Highway Authority of India Recruitment 2017-2018 Application Form (www.nhai.org), 170-NHAI Young Professional (Technical) Jobs Notification 2017 Released. The candidates will have to before Walk in Interview carefully reading the advertisement regarding the process of examinations and interview, eligibility criteria, Offline registration processes, payment of prescribed application fee/intimation charges Walk in Date etc. NHAI Walk-in Recruitment Young Professional (Technical) 170-Posts. 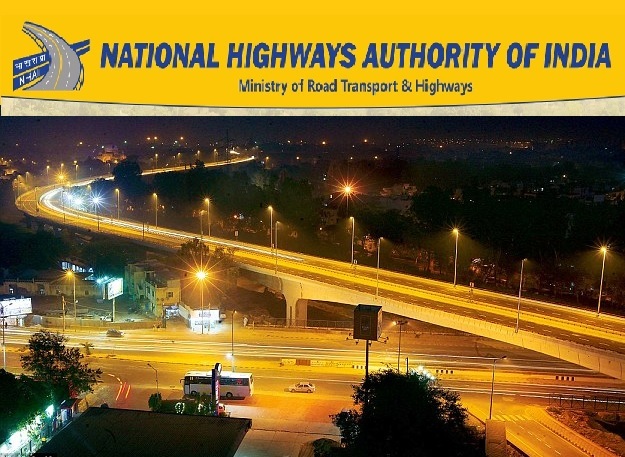 The National Highways Authority of India (NHAI) is an autonomous agency of the Government of India, responsible for management of a network of over 50,000 km of National Highways in India. It is a nodal agency of the Ministry of Road Transport and Highways. NHAI has signed a memorandum of understanding (MoU) with the Indian Space Research Organisation for satellite mapping of highways. Mr Deepak Kumar, IAS is the current Chairman while Dr. Yogendra Narain was the first Chairman of NHAI.